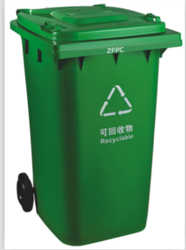 Pioneers in the industry, we offer galvanized trash bin, trash bin, flip trash bin, wheelie bin, garbage container and pedal barrel from India. 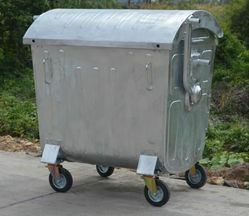 We are manufacturer and exporter of galvanized dome trash bin used for industrial purpose. We are in production of various types of trash cans, mainly producing large-scale hot-dip galvanized trash cans, plastic trash cans, FRP trash cans and various types of iron trash cans. Packaging Details: 153 units will be full of one 40ft container. The packing way is stacked up one by one. 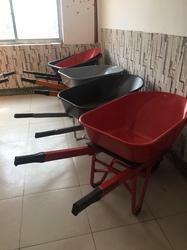 We are exporter of garbage bins , garbage container , pedal barrel , sorting garbage can , trash bin , trash can , in various capacity and size from 15L to 240L in HDPE plastic material. 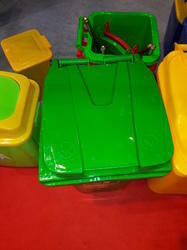 We are exporter of garbage bins , garbage container , pedal barrel ,plastic bins, sorting garbage can , trash bin , trash can , in various capacity and size from 15L to 240L in HDPE plastic material.